The first multipurpose vessel supports , supply , towing, anchor handling and transport equipment specially designed for marine renewables . Accurate and sophisticated handling are the main features of ” Alizé Chambon ” is equipped with a dynamic positioning system of the type DP1 . 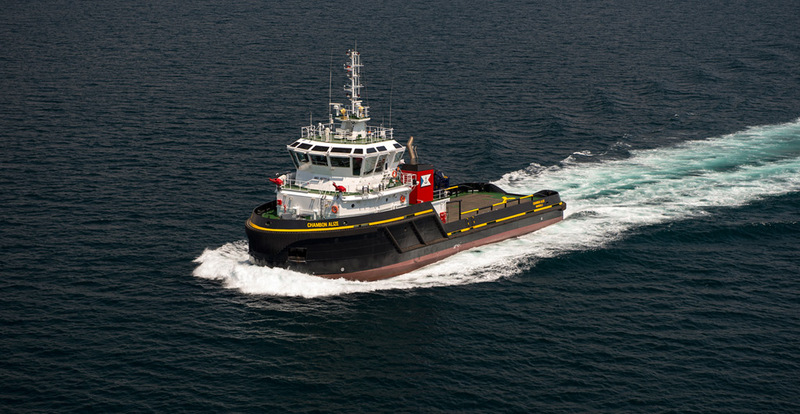 AHTS , more than 58 tons of traction , with a double drum winch combined cascade with a large rear roller to provide a quick solution for anchor handling operations . AHTS with a Clear deck space of 210 square meters, it is the support vessel ideal surface for any work surface and submarine need to stay ” on the spot ” or proceed very slowly , even case of current, wind and unfavorable ocean . AHTS fitted with a crane with a capacity of 3.6 tons SML 10.75 meters. Equipped with powerful AHTS generators that can provide power to offshore installations. Spacious , comfortable and soundproof for special staff accommodation , equipped with air conditioning.